Fed up with government spying, some people have decided to take matters into their own hands, and are building a user-owned Internet from scratch, using meshnets, New Scientist reports. These wireless networks are intended to permit secure communication without surveillance or any centralized organization, and ultimately, if their designers get their way, they will span the country. 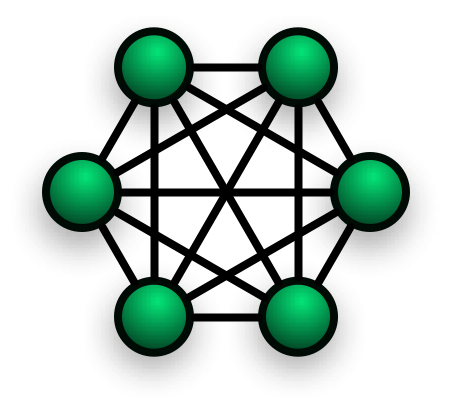 Each node in the mesh, consisting of a radio transceiver and a computer, relays messages from other parts of the network. If the data can’t be passed by one route, the meshnet finds an alternative way through to its destination. Hyperboria, the virtual layer that underpins meshnet efforts in the U.S., is a virtual meshnet because it runs through the existing Internet, but is purely peer-to-peer. This means people who use it exchange information with others directly over a completely encrypted connection, with nothing readable by any centralized servers. When physical meshnet nodes like those in Maryland and Seattle are set up, existing Hyperboria connections can simply be routed through them.